Lexington, KY -- It’s a new idea for a music business that has changed so much that, frankly, it was inevitable ... but folksinger Michael Johnathon has released the very first national album recorded entirely on an iPhone. Yes it’s true ... the SongFarmer album was completely recorded on an iPhone. An iPhone 6-plus, actually. As far as we know, this is the first national album release to be recorded this way. It’s an acoustic album recorded with the new Martin 0000-28s guitar and long neck Deering Vega Banjo. Nashville, Tenn. (June 26, 2013) iDitty is proud to announce Nu-Blu as their first totally digital client with their new album Ten. “The idea behind iDitty is to offer the touring musician a physical product they can sell at shows, said Dan Huff, CEO of iDitty. “With CD sales continuing to decline, and the number of music downloads continuing to increase, the market requires a product that meets the needs of the musician and the music consumer." Jupiter, FL -- FretMentor is pleased to announce that the New IPad version of Fretmentor's Mobile App & Festival Finder is now available for download at the App Store. The iPhone version is also available. This long awaited iPad release includes some great new enhancements. Portland, OR -- With hundreds of new kids' apps appearing on the App Store each day, finding the next great one can be like looking for a needle in a haystack. Then again, if you're lucky, you may just hear it singing a familiar tune. Today, Barnyard Bluegrass, already the recipient of many glowing reviews from education and parenting blogs, received some resounding applause when named a "Best Kids' App Pick" by Parenting's Technology Staff. Barnyard Bluegrass is indeed like nothing else on the App Store, delivering loads of authentic bluegrass music and learning in a variety of engaging ways. /PrMac/ San Francisco, CA -- Urban musicians proved their country credentials at the first-ever Battle of the Bands at the San Francisco Bluegrass and Old-Time Festival. In post-performance interviews, five city-based participating bands explained how they discovered country roots music. 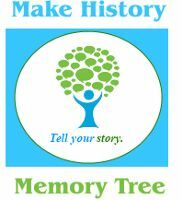 All interviews, song clips and photos for this historic contest were captured using Memoir Tree - www.MemoirTree.com , the free oral history app for iPhone that gives everyone the power to make history. Portland, OR -- Are you tired of hearing the same torturous music from your child's favorite app? Barnyard Bluegrass is here to help! 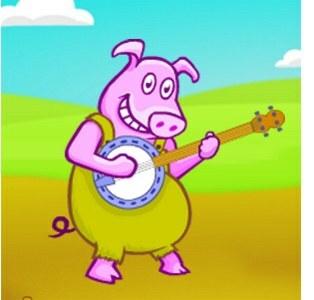 This lovable band of animated farm animals comes equipped with banjos, fiddles, basses, mandolins and guitars and they aren't afraid to use them. Offering seven complete songs - with accompanying read along lyrics - children can enjoy fantastic on-demand music using an interface simple enough for a toddler. Perhaps more importantly, parents may find themselves asking to turn the volume up, rather than down. Nashville, TN -- Artist Growth, LLC today launches its namesake product, a sophisticated set of cloud-based artist management tools - complete with specialized apps for all mobile devices - that integrates finances, calendars, inventory, contacts, social media and mentoring resources from industry experts, all in one interface. Artist Growth's proprietary technology puts the business of artist development directly into the artists' hands with step-by-step guidance that is scalable for artists at any stage of their career.